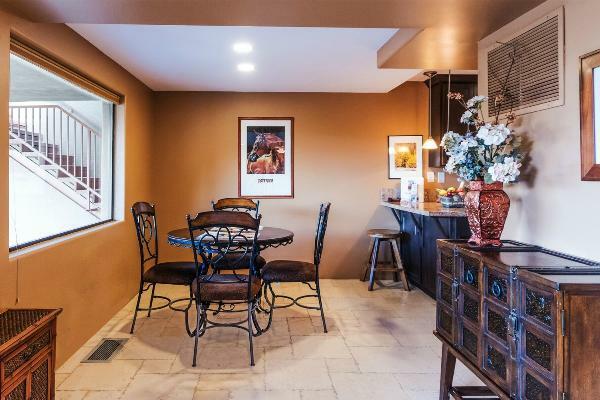 Comfortable, large and modern one-bedroom condo decorated in warm colors with a mix of western art and photography in every room. 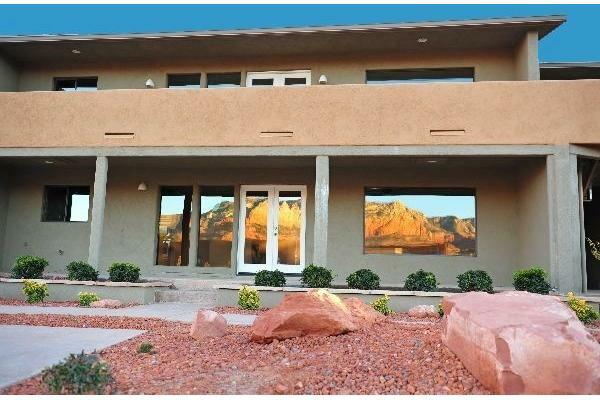 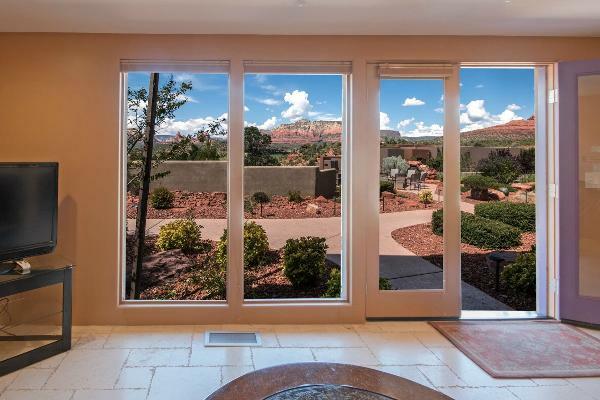 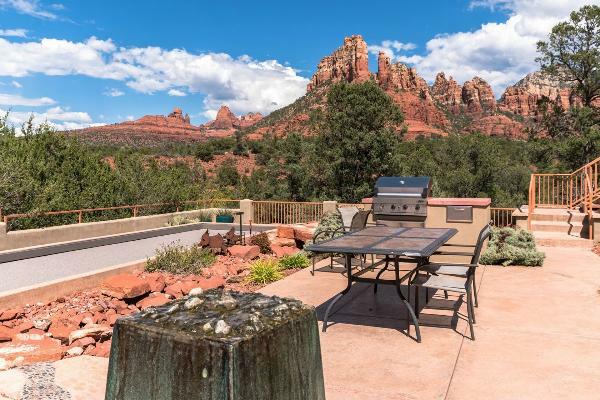 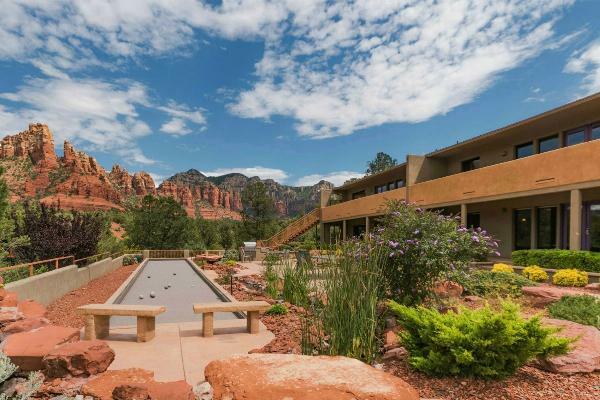 The Western Suite has beautiful Sedona views from the living areas and the private patio, and it is located on the ground floor. 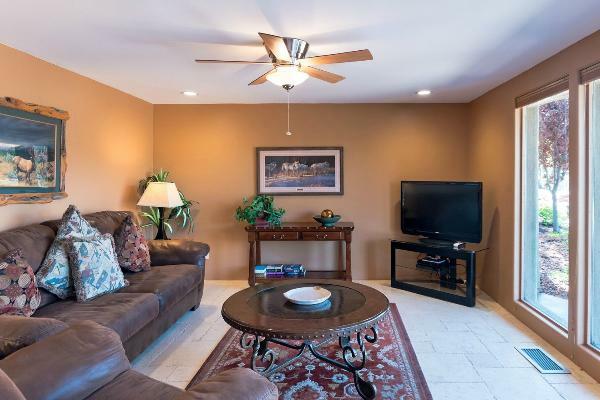 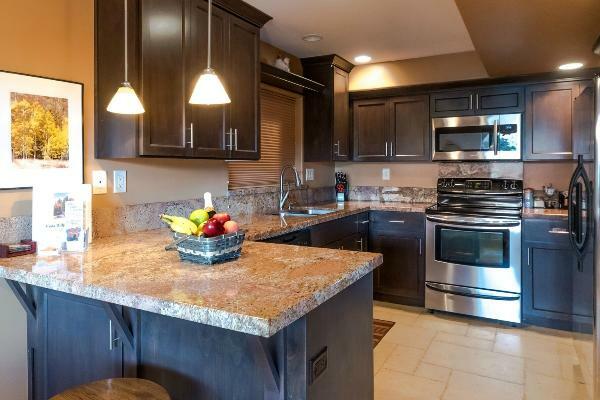 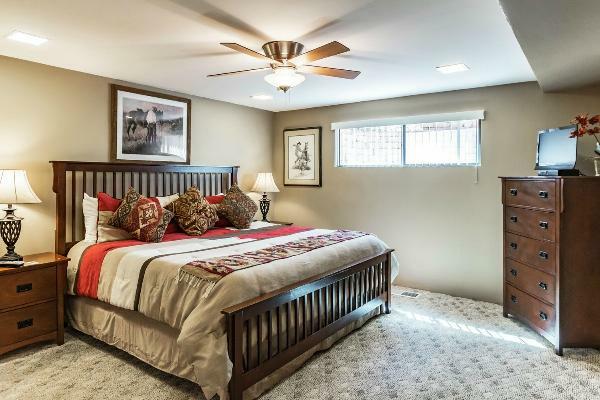 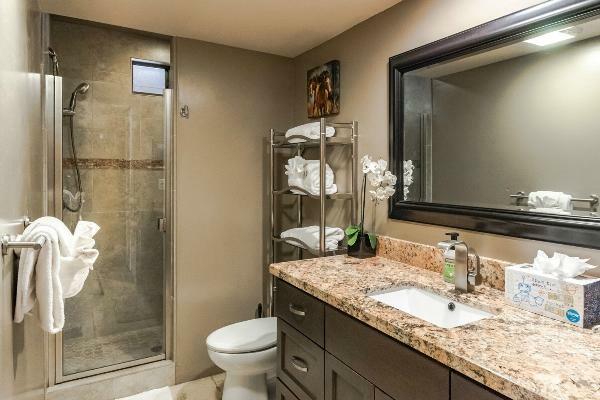 The condo features a large bathroom with a glass-enclosed shower and granite counter tops. 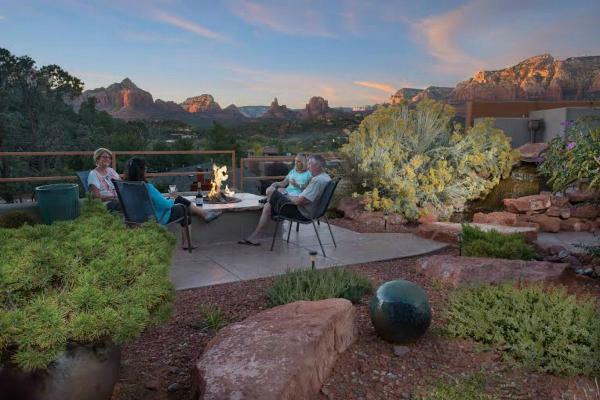 This suite is by our large, beautiful landscaped patios, where you will enjoy the barbecues, bocce court, water feature and a fire pit.